As a valued member of the Avon Breast Cancer Crusade family, we are thrilled to let you know about the next phase in Avon’s commitment to breast health. Avon is teaming up with the American Cancer Society, becoming the first ever National Presenting Sponsor for American Cancer Society Making Strides Against Breast Cancer events.For over 130 years, Avon has inspired the financial independence, health, and well-being of women and their families – and the fight against breast cancer has been central to our mission. Since the launch of the Avon Breast Cancer Crusade in 1992, people like you have helped contribute over $800 million to breast cancer causes, impacting millions of women. For that we thank you. The American Cancer Society attacks cancer from every angle by investing in ground-breaking research, providing patient support, offering information & education, and mobilizing communities. The American Cancer Society invests more in breast cancer research than any other cancer and has played a role in nearly every major breast cancer breakthrough in recent history. With walks in over 200 cities and towns, Making Strides Against Breast Cancer has raised more than $870 million for the fight against breast cancer. Just imagine what we can accomplish together. A combined army of passionate Making Strides participants, along with Avon Representatives, customers, and employees will be a force for good. So join us. Because united we can do more in the fight against breast cancer. We invite you to join us by starting or joining a team in your community. Together, we will be a continued force for good – because there are still too many people impacted by breast cancer. We hope to see you at Making Strides Against Breast Cancer this fall! Team Avon is making strides across the nation! Start or join a team in your community and together, we will raise money and help save more lives from breast cancer. We hope you will join us. From the Avon Foundation to YOU … First, a heartfelt thank you! Avon’s commitment to the fight against breast cancer has been part of the company’s DNA for 25 years. In 2003, that commitment gave rise to the AVON 39 The Walk to End Breast Cancer series, and we are so proud of the passionate community that has developed in this time. To the hundreds of thousands of women, men and children who have walked, volunteered, crewed, fundraised, donated and cheered for this cause — our sincerest and most heartfelt thank you. Because of you, AVON 39 has been able to raise more than $646 million dollars toward the fight to end breast cancer. We are excited to share that Avon will be introducing a new fundraising program in Spring 2018 that will help continue our work with the breast cancer community. This program will build off the success and learnings we’ve gained with the AVON 39 walks, and will engage passionate supporters like you who are committed to this fight against breast cancer. With the transition to this new program, Avon will no longer be sponsoring the AVON 39 event; 2017 was our last season. We are proud of our beneficiaries and applaud the amazing work they are doing in the breast cancer community. 100% of all net proceeds raised from the 2017 AVON 39 Walk season and any additional funds raised through other fundraising initiatives in 2017 are being granted to these worthy beneficiaries through the Avon Breast Cancer Crusade program. If you would like to make a donation to any one of our beneficiaries we’ve supported over the years, you can learn more about past grantees in our grant archive. We hope that each and every one of you who has engaged with us over the years will continue to do so as we head into this new chapter. For questions, please visit this FAQ page to learn more. You can also email info@avon39.org. We thank you again for your dedication to this incredible community and look forward to your participation in our future programs! Click here to access your 2018 Participant Center. Avon Centers of Excellence: Located in seven urban hubs across the US, Avon Centers of Excellence are major academic institutions that advance scientific research and ensure that underserved communities have access to state-of-the-art breast cancer care. Research: We invest in research on the prevention, diagnostics, and treatment of breast cancer so that individuals – specifically those living with the metastatic disease or other sub-types with few existing therapies – have as many options as possible. Current projects examine a number of issues, including the role of diet and metastatic breast cancer growth; the pathways by which tumor cells circulate around the body; and the identification of unique biomarkers for triple negative breast cancer. 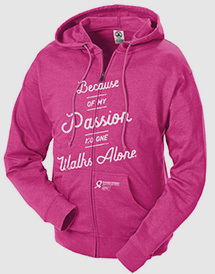 What is the ultimate goal in the fight against breast cancer? To end it. But just as important as the countless hours and billions of dollars of research still needed to better understand the disease, is the ability for us to provide quality and timely access to care for all women, no matter their socioeconomic status. When it comes to treating women with breast cancer – it’s about equity, not equality. The Avon Breast Cancer Crusade supports seven major academic medical centers across the United States—our Centers of Excellence—that are focused on two primary goals: providing the highest quality and access to care and performing cutting-edge research to improve a patient’s chance to achieve the best possible outcome. 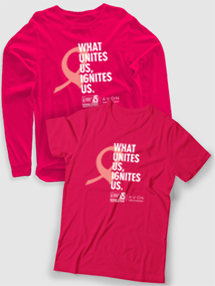 We’re half-way through Breast Cancer Awareness Month and we need your support to raise critical dollars to continue this work. Make a donation and help us fund vital initiatives like our Centers of Excellence.